Holmarc manufactures high quality automatic polarimeters for industry and research with robust performance and efficiency. Symmetric angular oscillation optical null technique by Faraday Modulation is implemented in our polarimeters to achieve high resolution and repeatability. 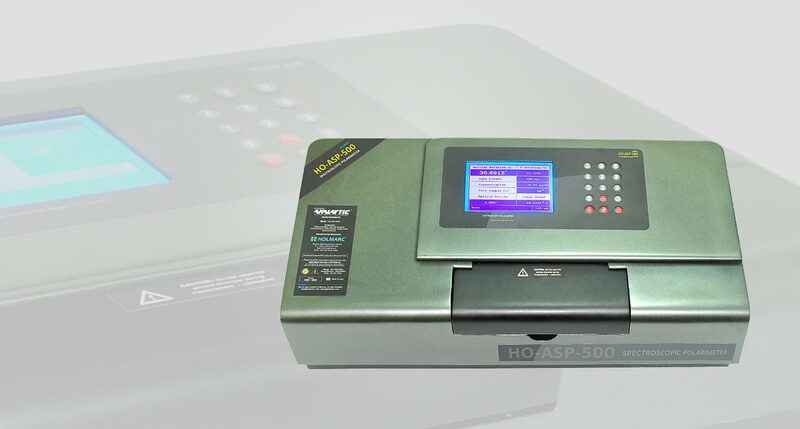 In HO-ASP-500 a quartz halogen lamp with high spectral resolution monochromator is incorporated as light source. The measurements can be performed over wide range of analytical wavelengths from 380 - 850nm by using quartz halogen lamp. Also the wavelength accuracy is better compared to the normal interference filters. Our high quality optical system improves the light collection and flexibility of the system. All adjustments on the device are made via an easy to use touch screen .The sample parameters can be customized for different applications. Holmarc offers full line of accessories for Polarimeter. Temperature control and temperature compensation can be incorporated to eliminate the variation of results with temperature. 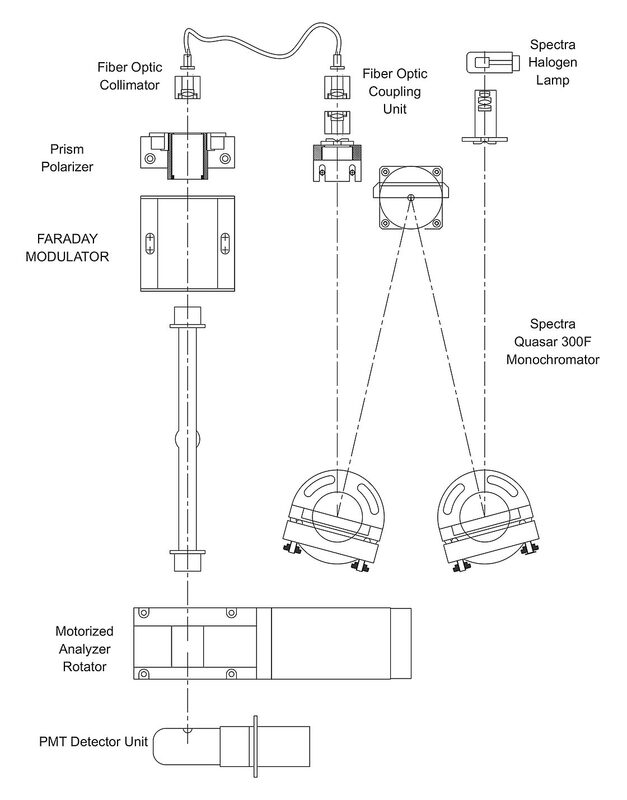 Wide range of polarimeter sample cells are available. Center cup tubes and continuous flow through cells can also be supplied for custom applications. Repeatability : ± 0.018 Deg. Principle : Symmetric angular oscillation optical null principle.